Supplies physical connection between PIR2 & adapter. The PIR2-CC, connectivity cable, supplies the necessary physical connection between the PIR2 and your adapter (DS9490R#, DS9097U-009#, or DS9097U-S09#). 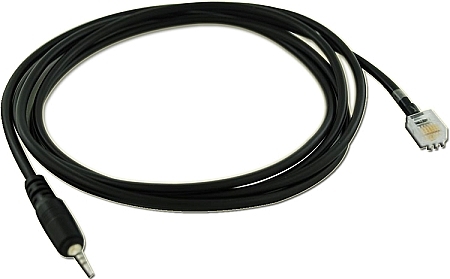 The convenient 6 ft. cable length offers users ample reach; and features a RJ11 plug on one end for connecting to the adapter, and a 2.5 mm plug on the other end for connecting to the PIR2.